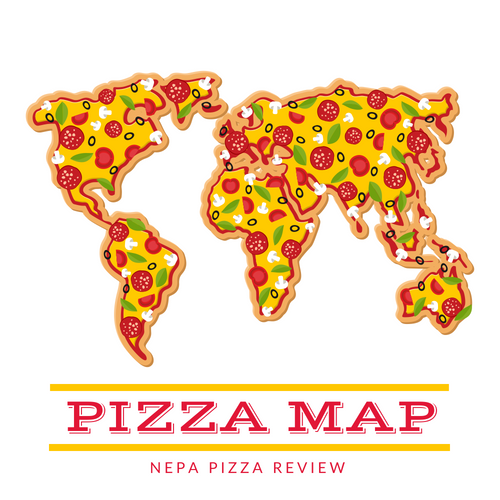 I'm so grateful for my readers who always keep me up to date with the latest pizza intel on what's hot on the NEPA scene. 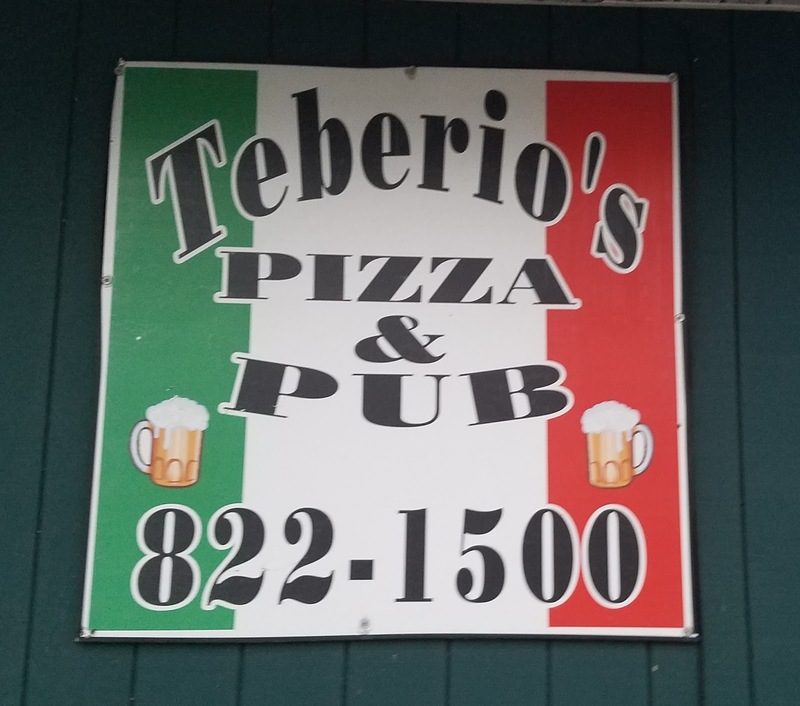 Over the past year, I have had quite a few people tweet, email, and message me telling me that Teberio's Pizza in Wilkes-Barre is the place to be. Several of the recommendations came from my most reliable social media sources who keep me in the know so I knew it had to be legit. 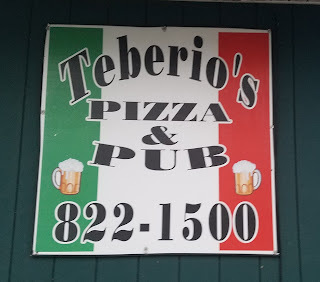 I quickly followed Teberio's on facebook and saw that they were making a tasty looking pan-fried sicilian pizza. I don't get to Wilkes-Barre often, so when I had some business in the area I made it a point to stop by for a few slices. I was doing a back-to-back review with Sprinkles and Shakes so I only picked up a 1/2 tray (7 cut) red sicilian. 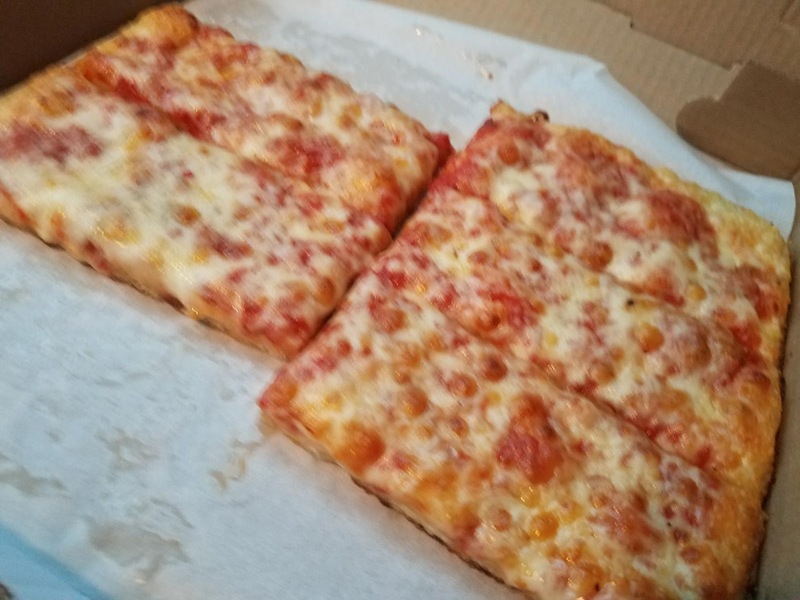 It was hot and ready when I pulled in and when I opened the box, the pizza looked even better in person than it did on facebook. The smell of the onions on the pizza was intoxicating and I could not wait to dig in as you can see in the video below. This is one of the greasier pizzas that you will eat, but that is how it is designed and I'm glad it is! 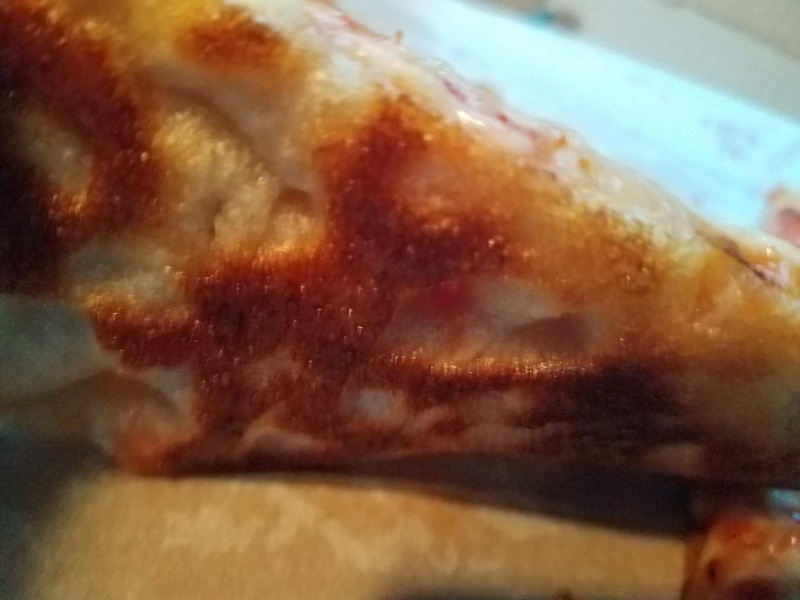 When you're just in the mood for some crispy, oily goodness, this crust will get the job done for you. The sauce is pretty neutral, perhaps a bit sweet, with a slight chunkiness to it. The cheese is likely a white cheddar blend of some kind that provides excellent flavor and a hint of saltiness. Overall, the flavor and texture combination of this pizza just works. 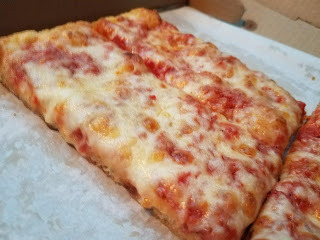 It's not an everyday pizza for me because it's a bit heavy, but it is darn good and I would highly recommend it to the NEPA Nation! Thanks to those of you who sent in this recommendation! Keep them coming! See my ratings below.